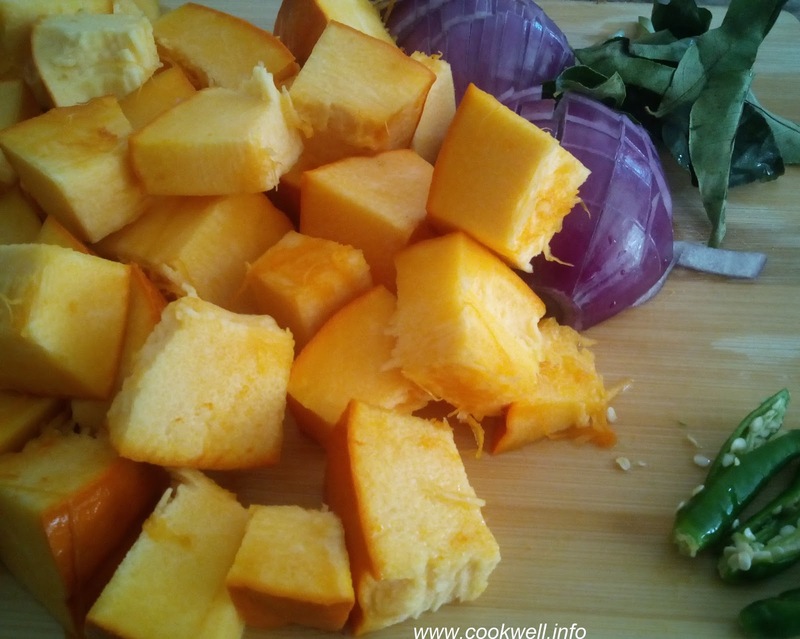 Here is a very quick delicious Pumpkin Curry recipe. You can use Green Pumkin or Butternut sqaush instead. Give it a try. Enjoy. Heat Ghee in a thick bottom vessel. Add Mustard seeds, Green Chillies, Curry leaves and Turmeric powder. Add chopped Onion, saute for a min. Add chopped Pumpkin, Rasam Powder saute for few seconds then add salt and Tamarind pulp.Add 3 cups of water. Cook for 5-6 min then add cooked Thoor Dal. Let it boil for 2-3 min. Serve with Chapathi or steamed Rice.